After almost 25 years of being in existence, the Japanese Language Proficiency Test (JLPT) is finally changing. When it was first administered in 1984, there were about 7,000 examinees. In 2007, there were around 524,000 global examinees. In 2001, a committee was established to look at the test, and in 2004, work began on revising the JLPT. The first big change is that the test will now be held two time a year instead of just one. This was done because of the sheer number of applicants. This change was actually first announced last year. Starting in 2009, Level 1 and level 2 tests will be offered in July. In December, all 4 levels will be available to be tested upon. So if you are going after the 2 hardest levels, you will have two chances. The main goal for the new test is to measure communicative competence. In other words, the test is aimed at measuring how well you can use the language in the real world and less about the technical linguistic knowledge. Another problem the new test hopes to fix is that many people expressed concern that the gap between level 3 and level 2 was too large. People were passing level 3, but struggled time after time with level 2. So the new exam will actually have 5 different levels, N1 – N5. It is said the N stands for “Nihongo” and “New”. N1 – About the same passing level as level 1, but requires slightly more advanced abilities to reflect the change in society since 1984. N2 – Equal to passing level 2 of the current JLPT. N3 – Fills the current gap between level 2 and level 3. N4 – Equal to passing level 3 of the current JLPT. N5 – Equal to passing level 4 of the current JLPT. 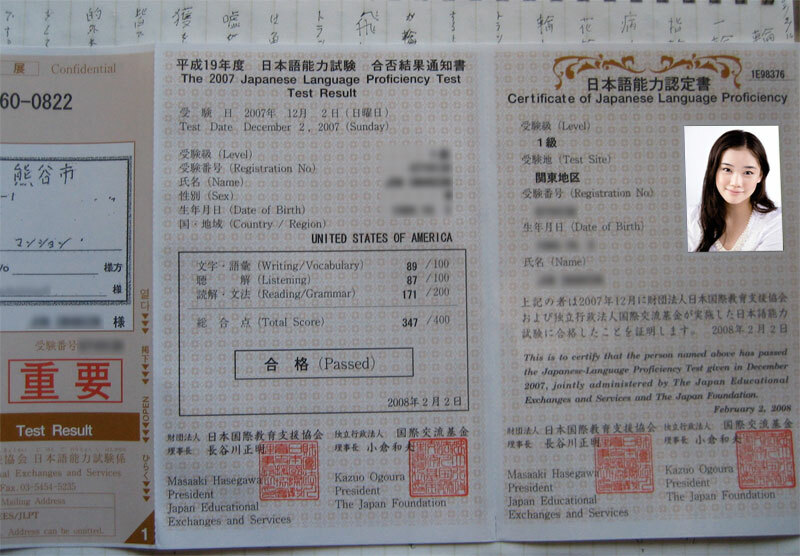 The new format for the JLPT won’t start officially till 2010. For more information on the changes made to the JLPT, read the committe’s revision report.